A domain name is as important as a website itself. Without a domain name, the website has no identity. Technically, it is non-existent. A domain name is created to give your website a differentiating identity and an accessible link between you and your audience around the world. Getting a domain name, however, can be problematic, particularly considering costs and getting adaptable names. At Green Digitals, we create and register domain names at the lowest costs available in the market alongside necessary support in launching it. On the issue of adaptable and memorable domains, which is a problem for many website developers, we got you covered. With top-level domain combinations at our disposal, when you get the perfect name for your website, we will give you a list of related domains available, be it standard (.COM,.NET, .ORG) or specialized (.BIM, .NE). When it comes to web hosting, we are the leading company in India. 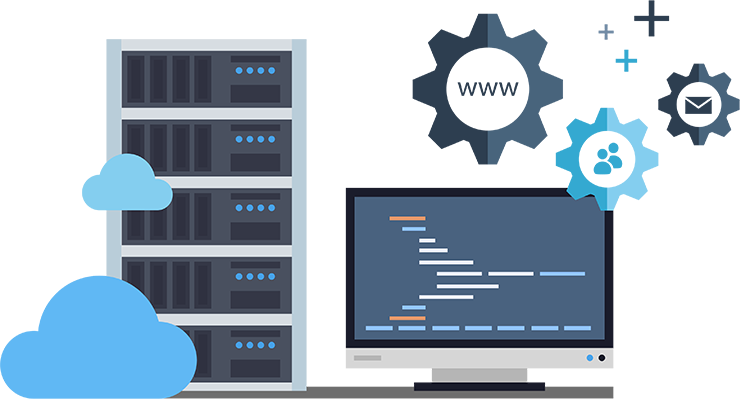 As it stands, we offer web hosting services to many websites and this is because our web hosting services are fine-tuned to business needs and goals and are cost effective. Be it quality cheap Linux hosting, Windows hosting, Reseller hosting or VPS hosting for both personal and business domains, we are your one-stop shop.